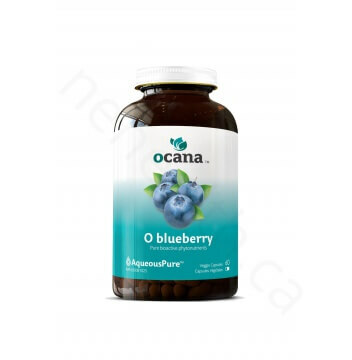 Ocana™ O blueberry uses Canadian grown organic blueberry extracts produced by AqueousPure™Clean and innovative technology, utilizing only pure water to solubilize bioactive compounds without the use of chemical solvents, delivering superior phytonutrients through an environmentally-friendly process. 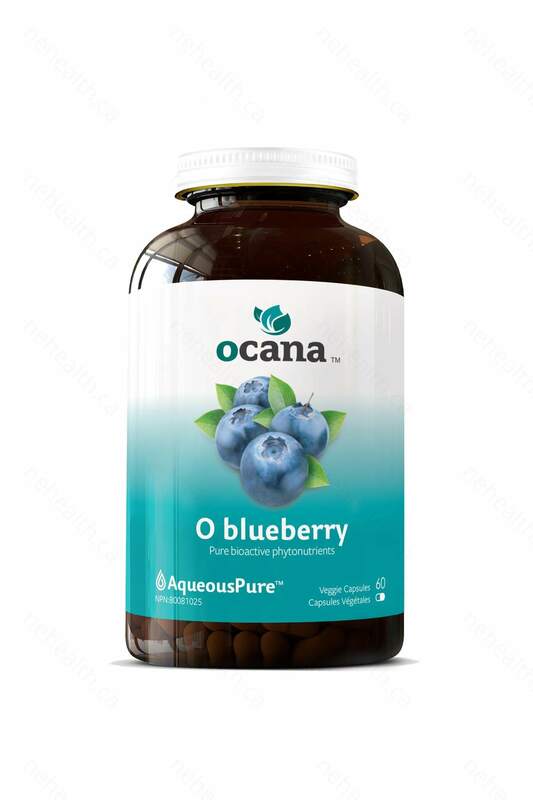 As a strong antioxidant, blueberry extracts have powerful effects on preserving eyes and heart health. Blueberry is a featured fruit of Canada. Its rich pectin reduces cholesterol, the risk of coronary artery disease, and also prevents heart attacks and strokes. Anthocyanins in blueberries are very powerful antioxidants that can help prevent arteries, the formation of plaques and the possibility of getting a variety of cancers. Blueberry can also help to improve vision and prevent myopia. Other Ingredients: Microcrystalline Cellulose, Hypromellose, Magnesium Stearate, Water.